I'm not a big seamstress. Therefore, I don't have very many supplies. I want to become more savvy at it, so I'm trying to slowly build my tools. But I didn't want JUST a pin cushion. I'm a multi-tasker, and apparently that means most of my tools need to be as well. 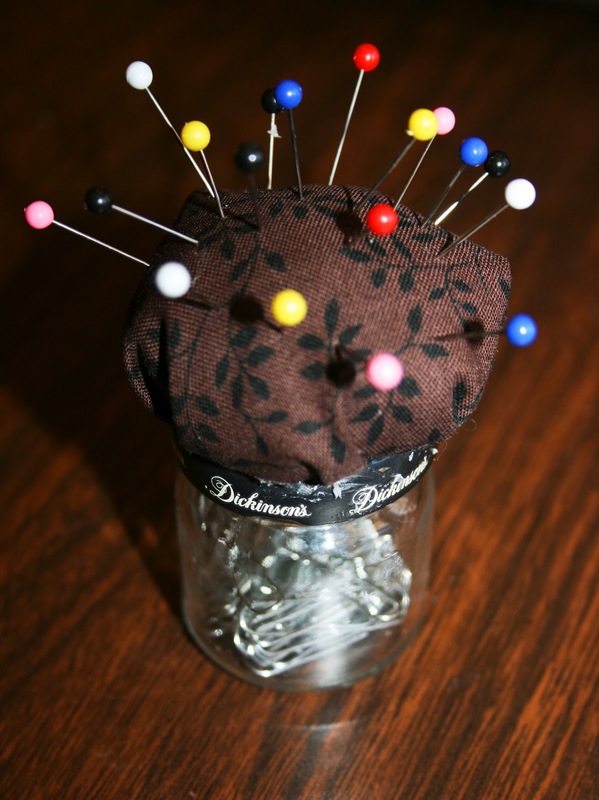 Therefore, I created a pin cushion that doubles as storage. It was actually quite easy. All you need is a jar (I used a small empty jam jar that I saved from a hotel restaurant - yes, that's another tidbit about me: I save stuff to make other stuff. *full disclosure*), pins, fabric, cotton balls, scissors, and hot glue. Step 1: Trace a circle on the 'wrong' side of your fabric, about 3 times the size of your jar lid. 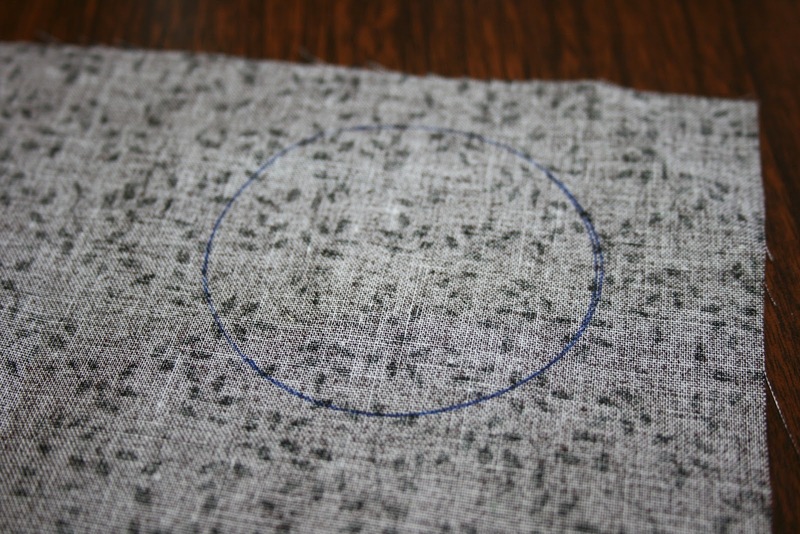 Step 2: Cut out the circle. 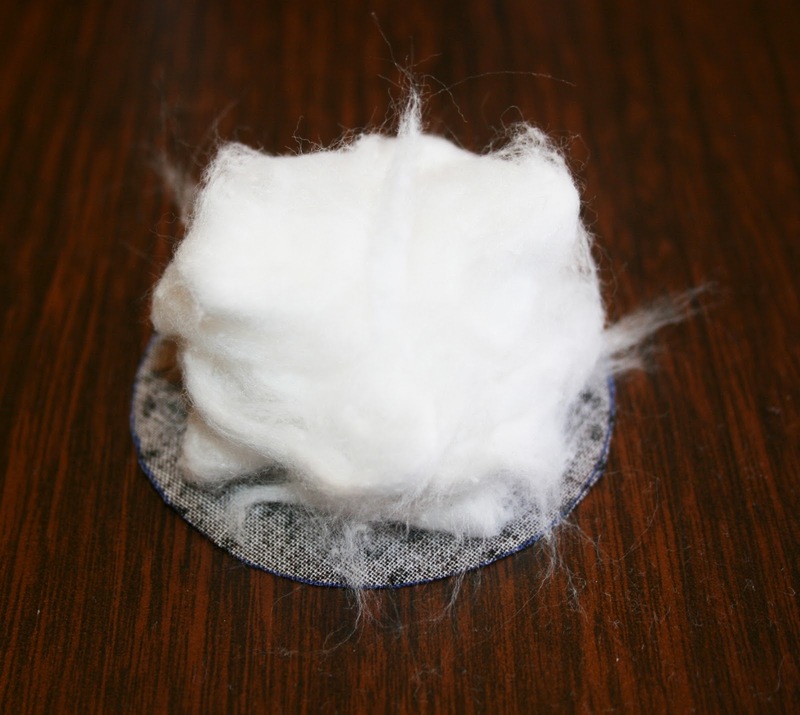 Step 3: Pull apart several cotton balls and place in the center of the fabric circle. 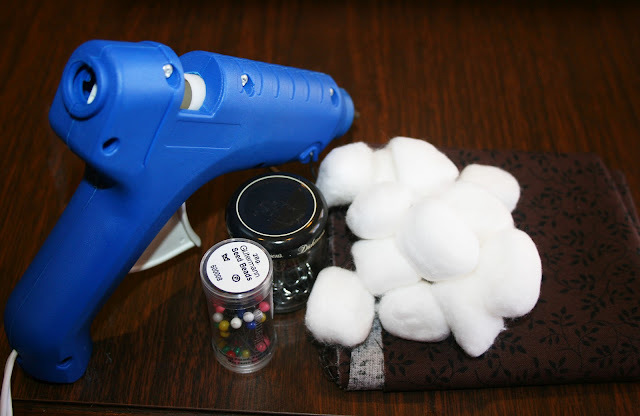 Step 4: Fold the fabric over the cotton and hot glue the opening to the top of the jar lid. Step 5: Place whatever you want stored in the jar. I am storing safety pins in mine. 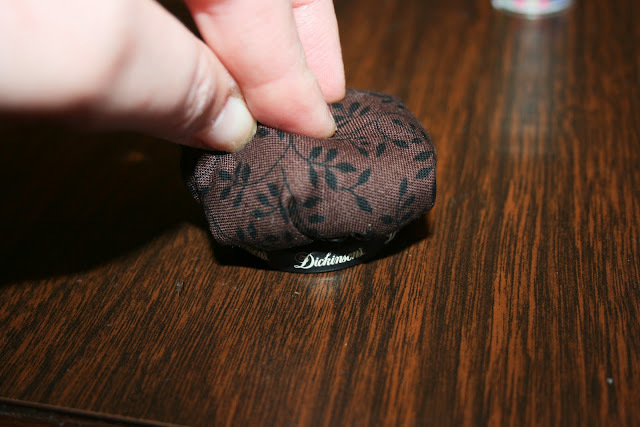 Step 6: Stick your pins in the cushion.